Calling all gadget geeks! 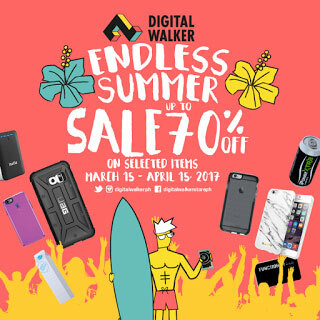 Check out Digital Walker's hot offers on your favorite gadgets. Discounted brands include Acemade, Andmesh, Gear4, Ballistics, Bodyguardz, Boostcase, Elementcase, Speck, Tech21, UAG, Laut, Function101, Momax, Stacked, Switcheasy, and Ye! 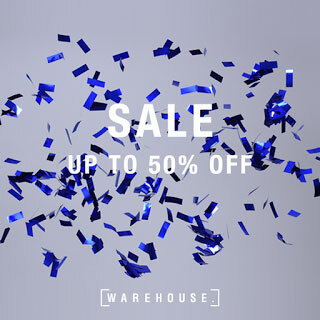 Sale is happening at all Digital Walker stores until April 15. 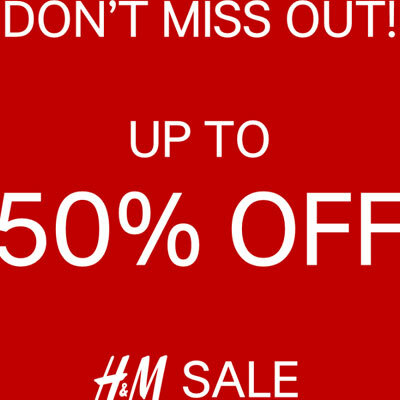 Shop to your heart's delight and get fun and fabulous finds at up to 50% off in all H&M stores nationwide. 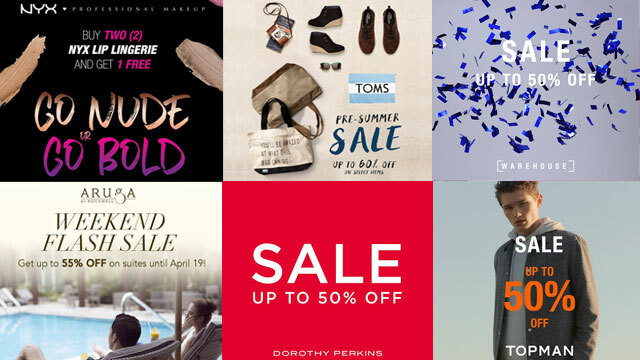 Sale runs until April 15. 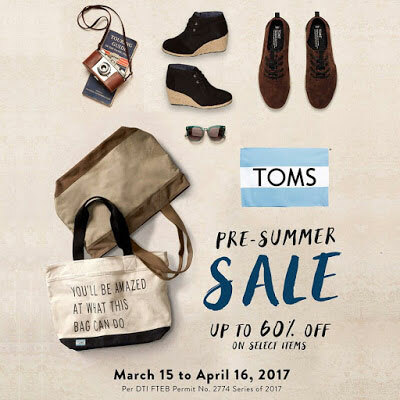 Until April 16, get yout favorite pair of TOMS at up to 60% off. 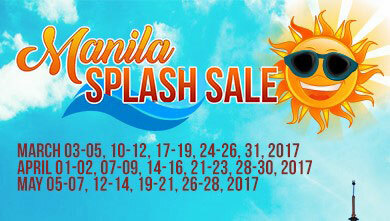 Promo is available at TOMS SM Mega Mall, SM Mall of Asia, SM Aura, Glorietta 1, Foundry West Gate Alabang, SWIM Rockwell, Nothing but H20 Alabang Town Center, Trinoma, and Boracay. Make sure your tires are road-trip friendly! 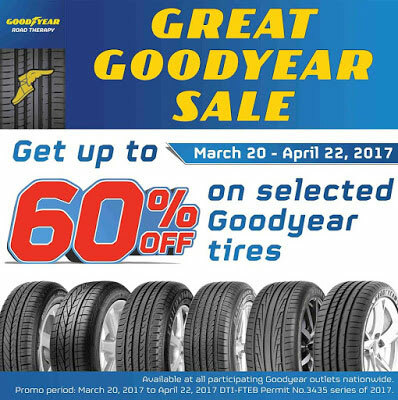 Head over to any of the GoodYear Autocare and Servitek outlet nationwide and get up to 60% off on selected GoodYear tires. 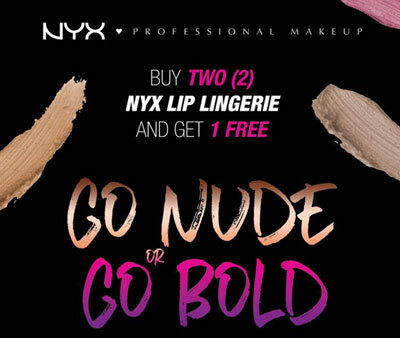 Sale runs until April 22. 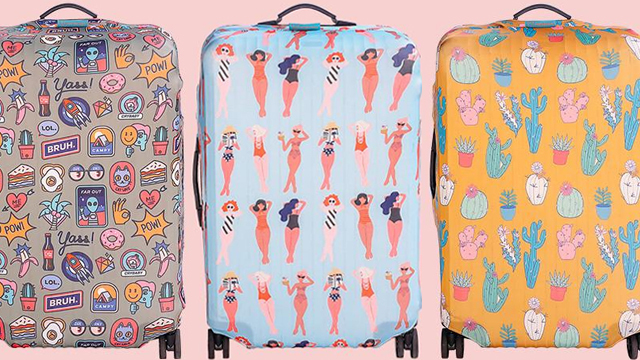 Need to update your wardrobe? 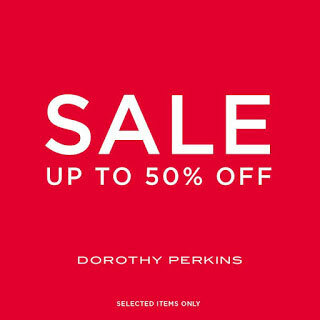 Until April 23, you can get up to 50% off on your favorite Dorothy Perkins' apparel in their Robinsons Galleria, Robinsons Magnolia, Robinsons Place Manila, Power Plant Mall, Glorietta 2, Trinoma, SM Aura Premier, SM Mall of Asia, Mega Fashion Hall, Robinsons Galleria Cebu, and Ayala Center Cebu branches. How are your summer outfits looking? 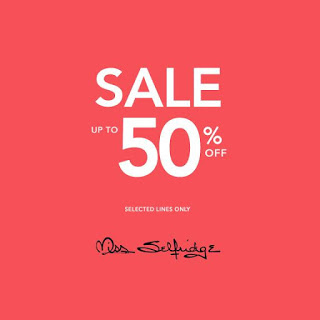 Time to update your wardrobe because it's 50% off for selected lines at the Miss Selfridge mid-season sale happening until April 23. Not to worry, guys, because you'll have plenty of shopping options this payday weekend. 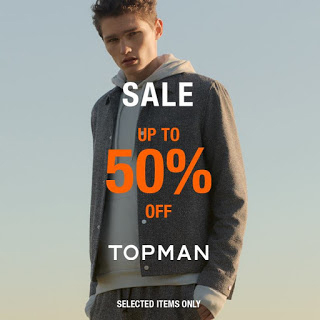 Stock up on some clothes at Topman's mid season sale, where you can get up to 50% off until April 23. Make your girlfriend proud. 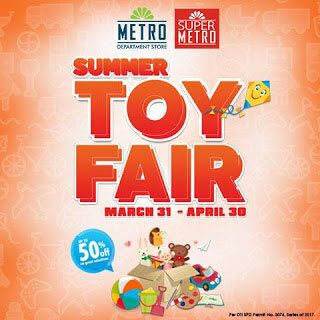 Run to the nearest Metro department store and get up to 50% off your favorite toy brands. Sale runs until April 30. 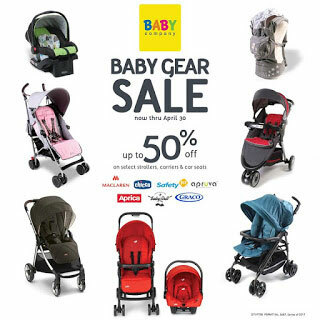 Get up to 50% off on strollers, carriers, and car seats and up 30% off on selected nursing and feeding items until April 30 at all Baby Company stores nationwide. 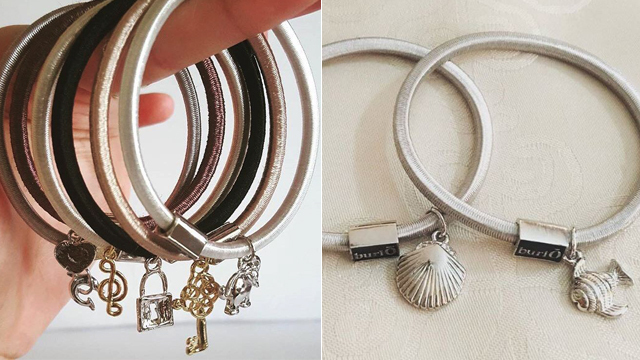 Don't you just love sale season? 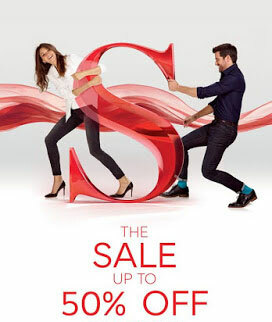 Head over to Marks & Spencer and get up to 50% off on selected M&S Women's wear, Men's wear, and lingerie. You can get an additional 5% off if you pay with BPI Debit, Credit, or Prepaid card. 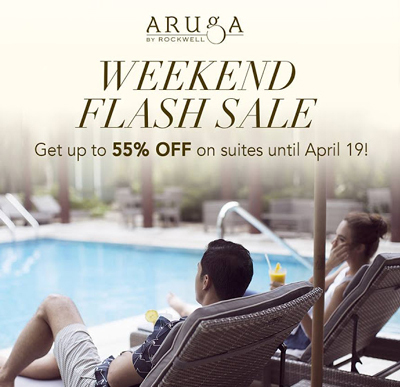 Promo lasts until May 1.